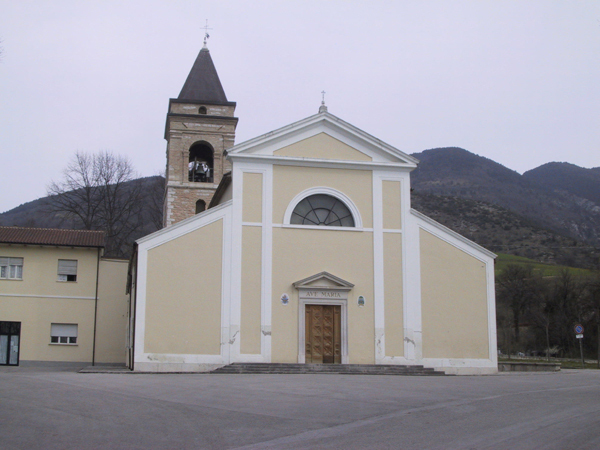 In Acqualagna and in the surrounding areas there is a large number of churches and convents. In the town itself you can visit the churches of Santa Lucia, San Vincenzo, San Paterniano and the Santissima Annunziata and Santissimo Sacramento. A visit to one of these churches is a way of learning about the religious and cultural history of the area. All the religious monuments go back to the past. Even around Acqualagna in the nearby towns and hamlets, there are many churces. As in the rest of Italy, the spiritual aspect is extremely important. 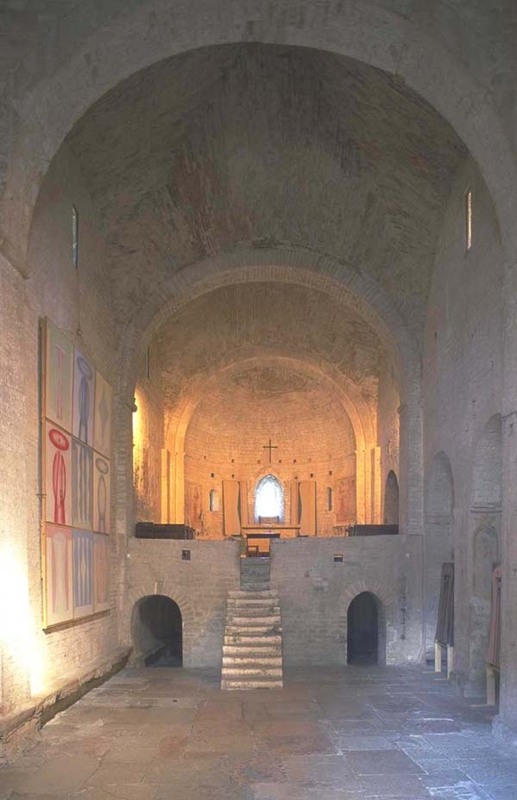 And even in the Pesarese inland area there are many Catholic convents and temples which tell the story of God and are places not only for prayer and meditation but also to admire artistic objects and stories within the buildings. These religious works enrich the cultural baggage of visitors who come intrigued by the ancient traditions tied to these churches. For such tourists there is an interesting variety of religious trails which will appeal to their love of spirituality and art. 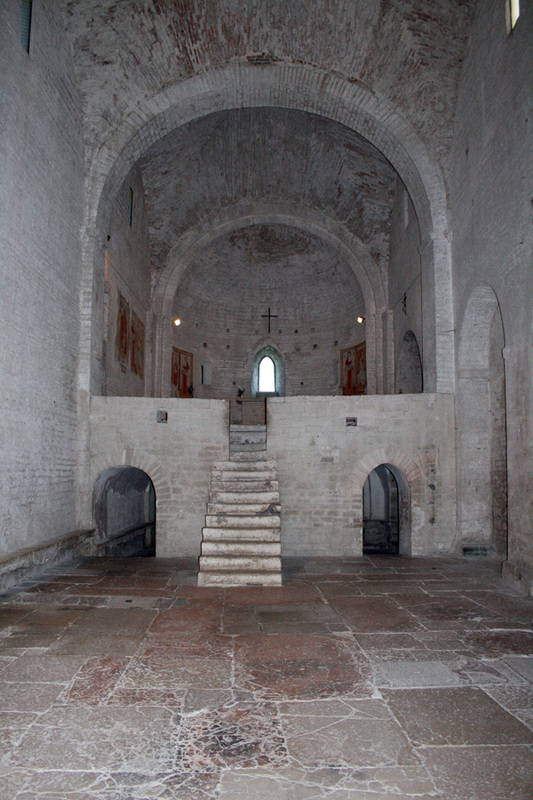 The Abbazia di San Vincenzo was built in the period of massive fervour during the Benedictine experience. It was built on the ruins of a pagan temple which thrived thanks to donations from travellers passing through the Furlo. 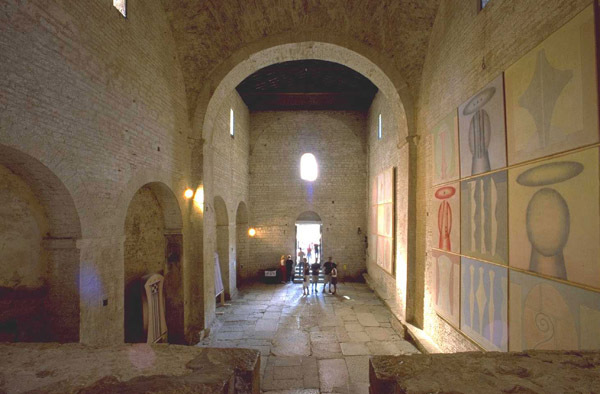 The Abbazia had the same function as the temple, that is to collect the offerings made to God in gratitude for getting through the Furlo. In 1011 the Petra Pertusa monastery was built by San Romualdo who, despite being 104 years old, succeeded in bringing the monks back to more moderate customs and in convincing those in need of more penitence to retreat and build cells within the Furlo Gorge, surviving just on water, bread and grass. At the same time, he ordered the building of the small hermitage of San Ubaldo which was designed to protect the travellers from brigands and other dangers. 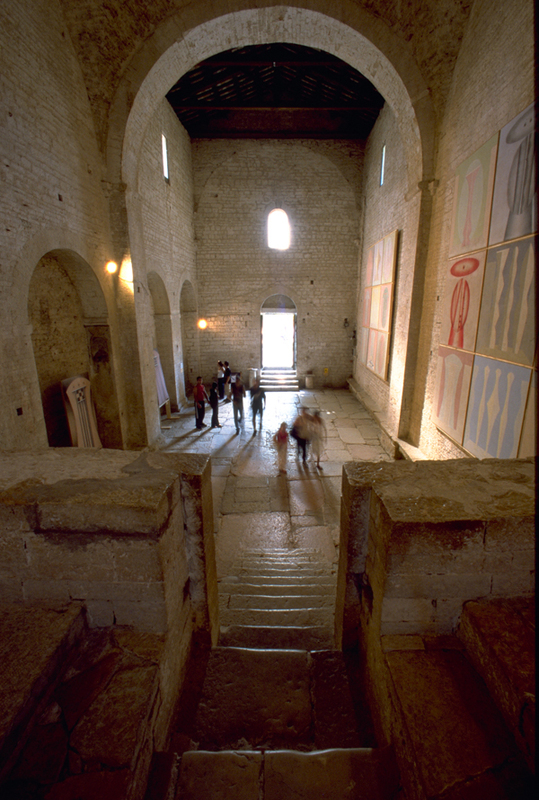 The Abbazia became increasingly more wealthy and powerful, thanks to offerings and the temple became majestic. 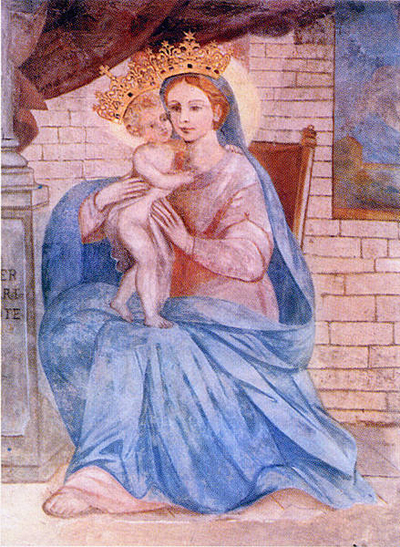 In 1040 the thirty-three year old San Pier Damiani became abbott of Petra Pertusa, and despite his young age already had an excellent reputation. In that period the monastery was often subject to pillaging by hordes of criminals, but the arrival of Pier Damiani coincided with a moment of great tranquillity. The monks started to wear white robes once again and the abbey became a place of peacfulness and serenity. The Santuario del Pelingo, in addition to the Gola del Furlo, is particularly appreciated by those seeking to rest their minds and bodies due to the spiritual atmosphere that prevails. The Sanctuary has always been a source of interest to its numerous visitors and devotees, due to the beauty of the place, located on the slopes of Monte Pietralata, as well as to celebrity of the miracles and marvels that devotees have reported. 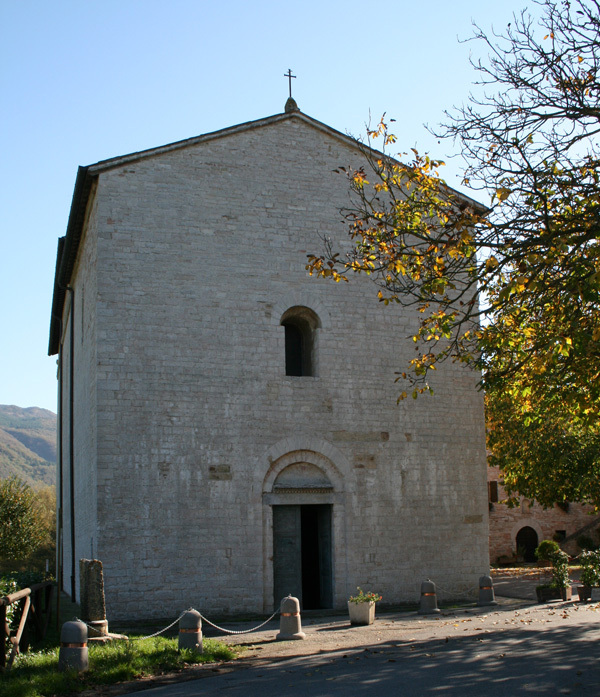 A few kilometres away from Acqualagna, on the slopes of Monte Catria you can visit the Monastero della Santa Croce Fonte Avellana. This is a spiritual place set up around the year 1000 and Camaldolesi monks still live there today. The monastery is open to everyone, but especially to those wishing to pray and seek closeness to the Lord. The monks welcome tourists and visitors everyday, eager to soak up the history of the place, and offer hospitality and organise meetings for “Divine Readings”. In addition, inside the monastery you can buy products from the ancient apothecary as well as herbs and spices produced in the vegetable gardens of Fonte Avellana. For more information, visit the Fonte Avellana official website.